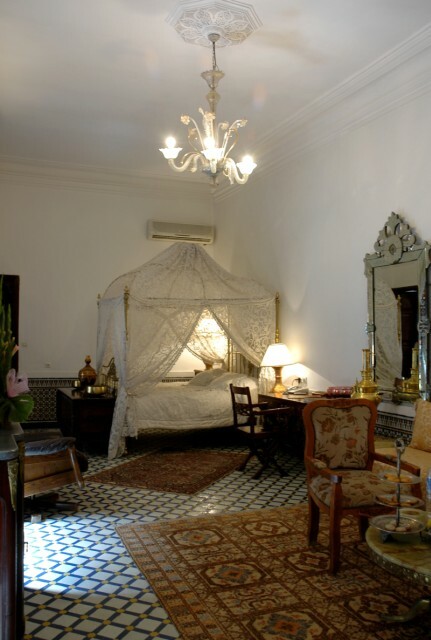 La Maison Bleu Client Comments, Reviews and Testimonials. 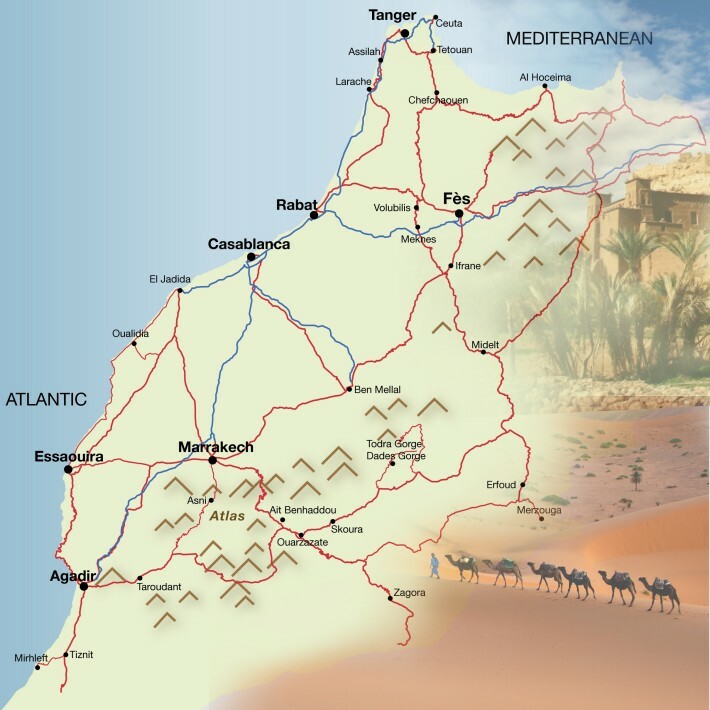 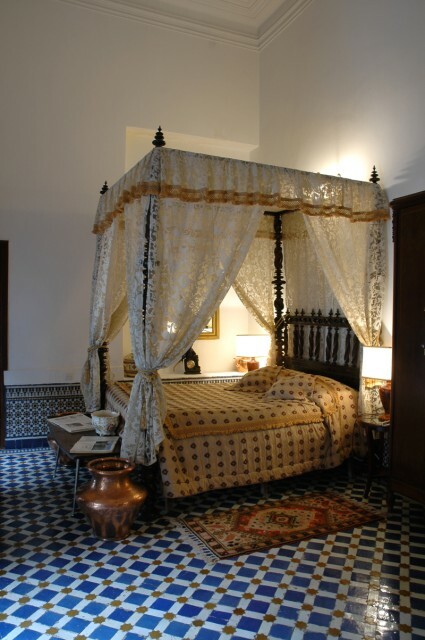 Book La Maison Bleu Today with Hip Morocco - Holiday Accommodation in Fez, Morocco. 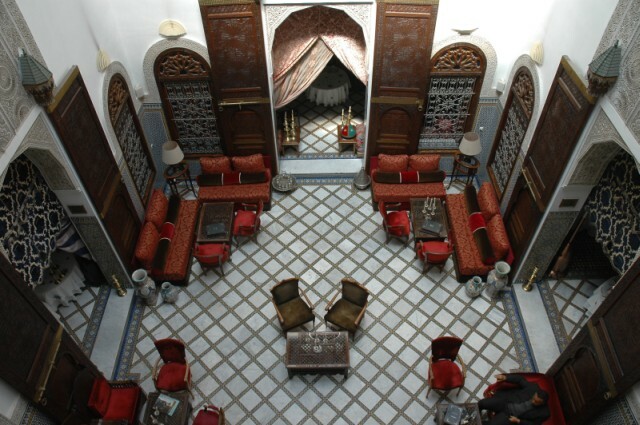 "a world of tranquility and rejuvenation, in pure Moroccan tradition"
At La Maison Bleue you are the house guests of a prominent Fassi family and will find the house a haven of peace in the heart of the bustling Medina of Fes. 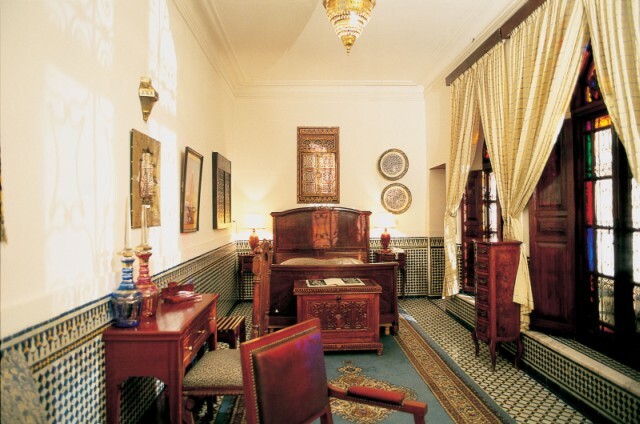 In the very heart of the most ancient of Medinas, the Maison Bleue Spa welcomes you to a world of tranquility and rejuvenation, in pure Moroccan tradition. 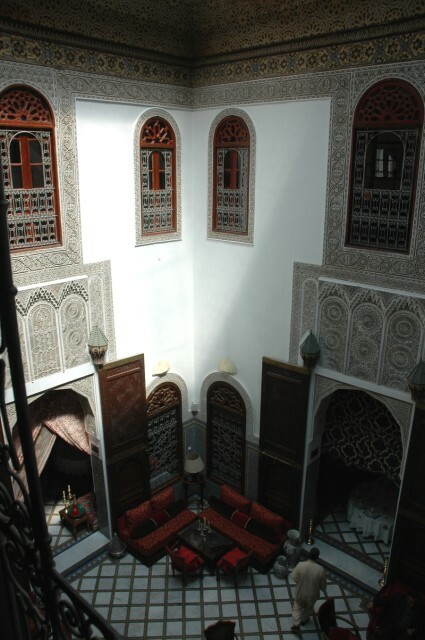 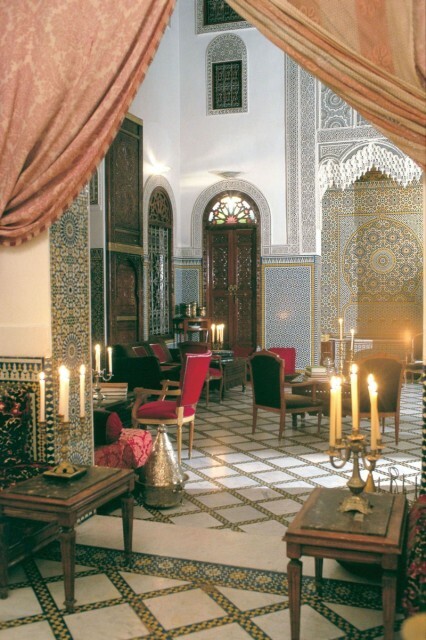 Once you have crossed the threshold, a long corridor leads to an courtyard surrounded by three Moroccan salons. 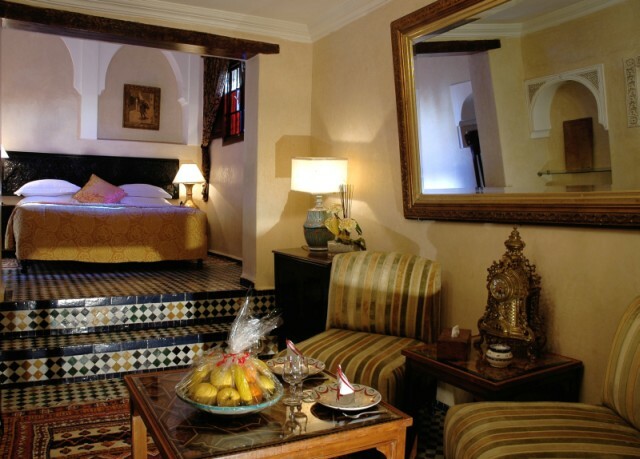 On the 1st and 2nd floors are five deluxe and one single room each with ensuite bathroom, telephone, television, internet access, air conditioning, minibar and safe. 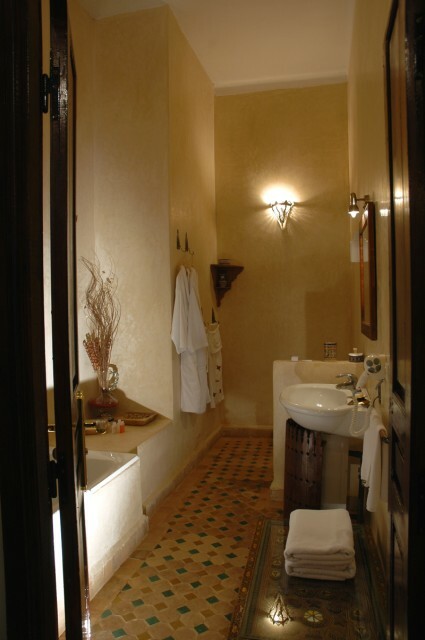 Indulge yourself in our most traditional body treatment, the Hammam, or massages and body treatments using exotic aromatic oils and scents : rose water, amber, musk, orange blossom water. 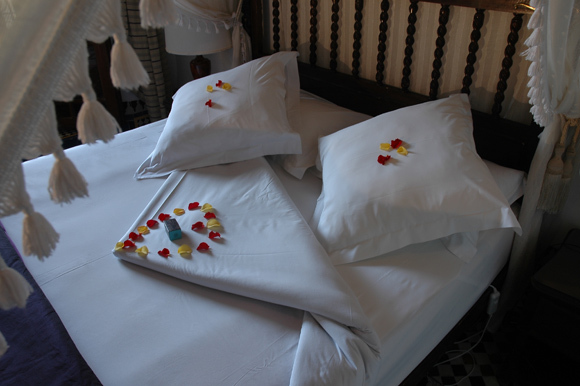 The Maison Bleue Spa is dedicated to your well-being using traditional methods dating from ancient times with the aim of uniting the physical and the spiritual. 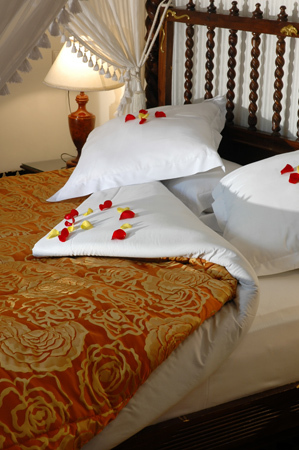 This is achieved though a selection of environmentally friendly plants, herbs and oils carefully chosen for your pleasure and well-being. 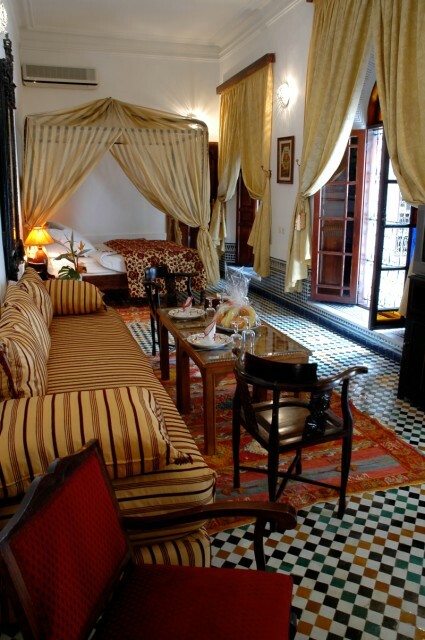 The eleven deluxe rooms of the Riad are each equipped with an ensuite bathroom, reverse-cycle airconditioning, telephone, televison, internet access, mini bar and room safe. 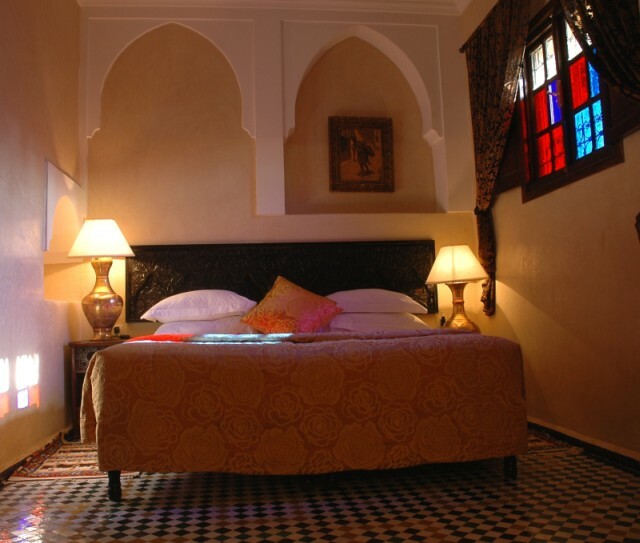 The two standard rooms of the Riad are each equipped with an ensuite bathroom, reverse-cycle airconditioning, telephone, televison, internet access, mini bar and room safe. 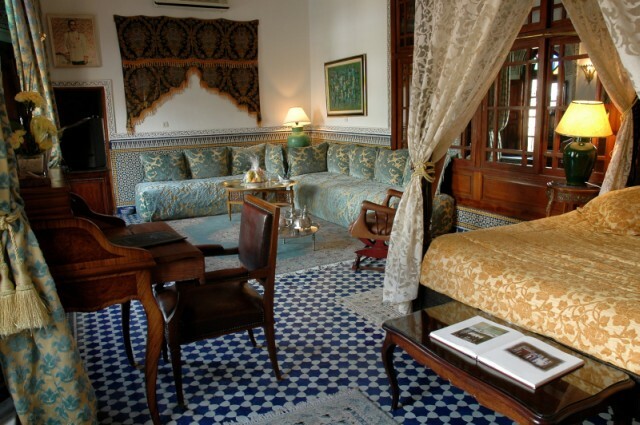 The base rate price at La Maison Bleu is in pounds, euros, or Moroccan dirhams and exchange rates are approximate.